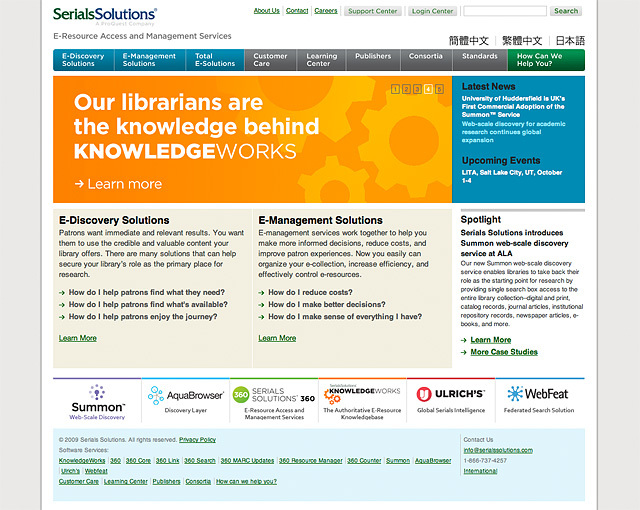 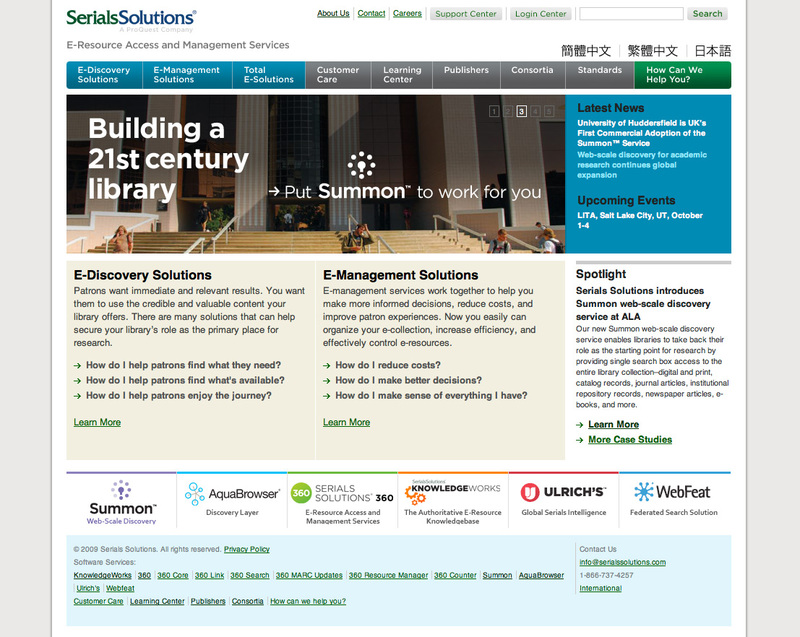 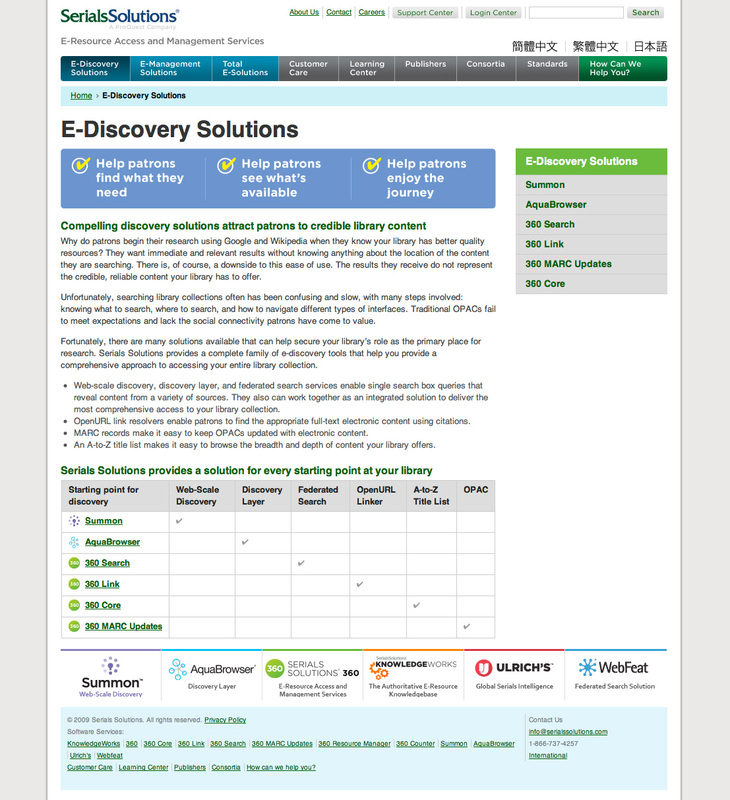 Serials Solutions is the global leader in E-Resource Access and Management Services and serves more than 3,000 libraries of all sizes and types. 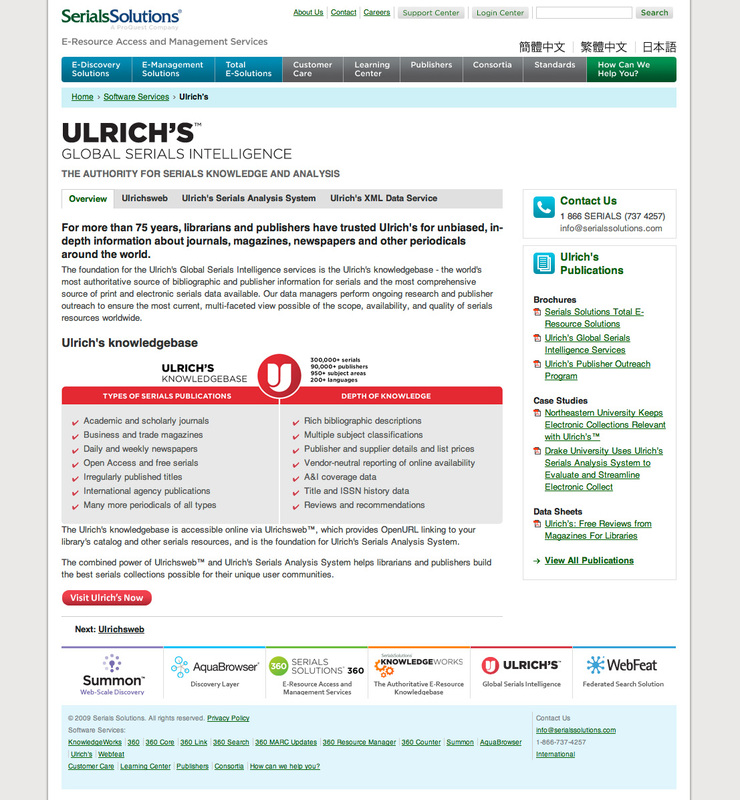 We gave their content-rich, educational website a refresh to more effectively promote their extensive E-Discovery and E-Management solutions. 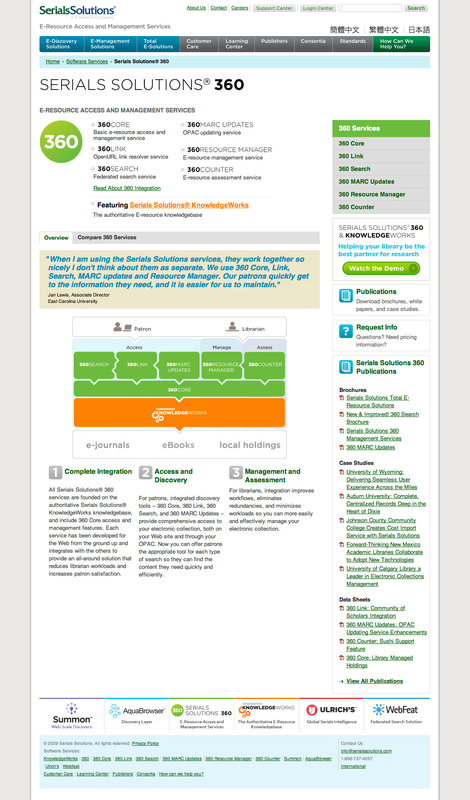 We then hooked up a robust CMS to allow them to easily update and add content.